The NEST SolAce building is covered by approximately 60m² of Kromatix™ blue-green solar glass. Kromatix™ technology is being coupled with photo-voltaic and thermal collectors creating a energy plus building concept. Kromatix™ is a highly transmittant nano-coating technology, allowing minimal absorption which results in very little energy loss and will lead to a positive energy balance over the whole year for the unit through the production of solar electricity and domestic hot water. 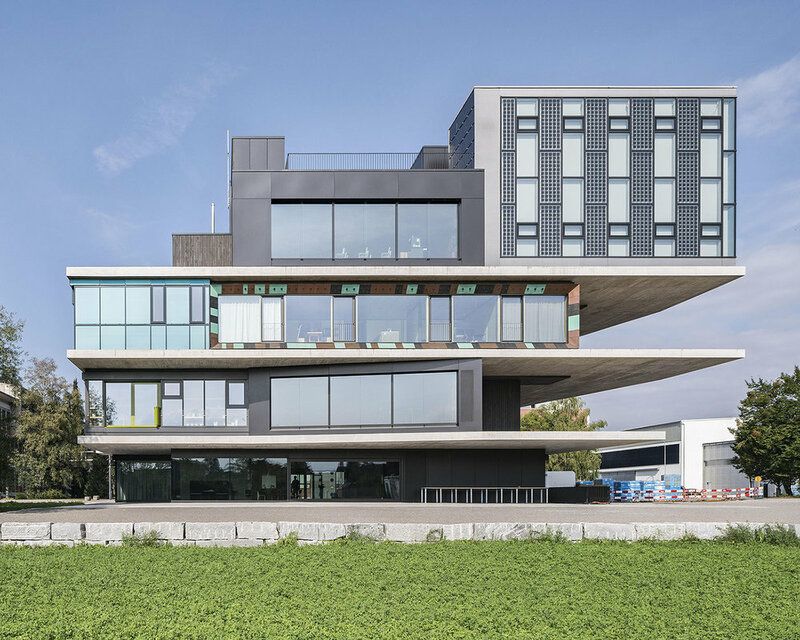 The SolAce building, beautifully designed by Lutz architects, is located in Dübendorf, Switserland at the EMPA campus (Swiss Federal Laboratories for Materials Science and Technology). The project is a NEST (Next Evolution in Sustainable Building Technologies) initiative developed in collaboration with the EPFL research institute. The colored Kromatix™ solar panels are produced in collaboration with Antec and installed by Solstis.